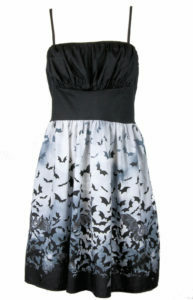 Folter Clothing has quite a few dresses that are perfect for showing off your Halloween style. Made in the USA with a retro flair, these dresses are great for work, campus or parties. 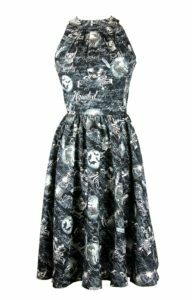 The Haunted Dress is great for work or school. The Bat Cave mini dress is perfect for a party. I love the long solid black Morticia dress, it’s made of a nice heavy rayon knit that hangs beautifully. It’s also versatile and can be dressed up or down with accessories.